A Special Sports Report for the Declaration by that man with one first name and two last names, Steve Miller-Miller. Truant officers don’t come to your house if you don’t watch a Sixers game. Also, most people can remember a time when the Sixers were good. Beyond that, the differences grow slim. Both have a recent history that includes replacing talent (Paul Vallas, Iggy) with stopgap measures unlikely to have any real effect (Andrew Bynum, Arlene Ackerman with Vision 2014…hey what year is it?). Both are structurally unable to compete. The Sixers don’t have the talent, the schools don’t have the money, the talent, a full set of English textbooks, or a plan that doesn’t involve taking away even more from the most vulnerable (read: unsafe) schools. 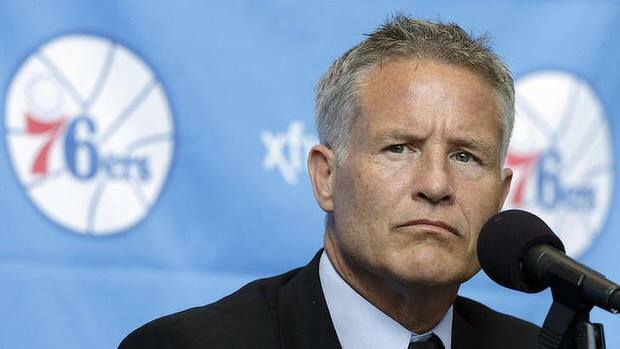 Grumpy Brett Brown is very grumpy. Nobody in Philadelphia takes either institution seriously. The Sixers will freely tell you they are trying to lose to improve future draft picks as they play to an empty arena all season, and even administrators in the school district will concede kids are better off elsewhere. Both want you to pay more for a product known nationwide for its failures, using a justification that amounts to nothing more than “Trust us.” The Sixers, embarrassed by folks like myself buying entire rows of seats for a few bucks on Stubhub, raised ticket prices for this year, even though their win total will likely remain unchanged. And the schools hooked up Philly homeowners and smokers with a big fat tax increase so that politically-connected moneymen with no background in education can get full funding to open a charter school, if they wish. From fall through June, Philadelphians will have an opportunity to see incompetence, laziness, poor staffing, and institutionalized apathy on display, and they needn’t go all the way to the Wells Fargo Center to see it. The shitshow of educational airballs is as near as your neighborhood school. I mean this lightly, of course. 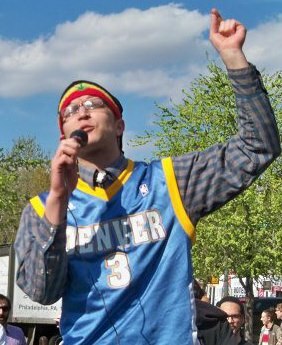 I’ve seen the Sixers get blown out many times over the past couple years, and I have yet to see GM Sam Hinkie flip out after a game and unilaterally cancel the NBAPA’s [player’s union] collective bargaining agreement.